Renovated Balti Jaam Market was re-opened in spring 2017 after extensive construction work. 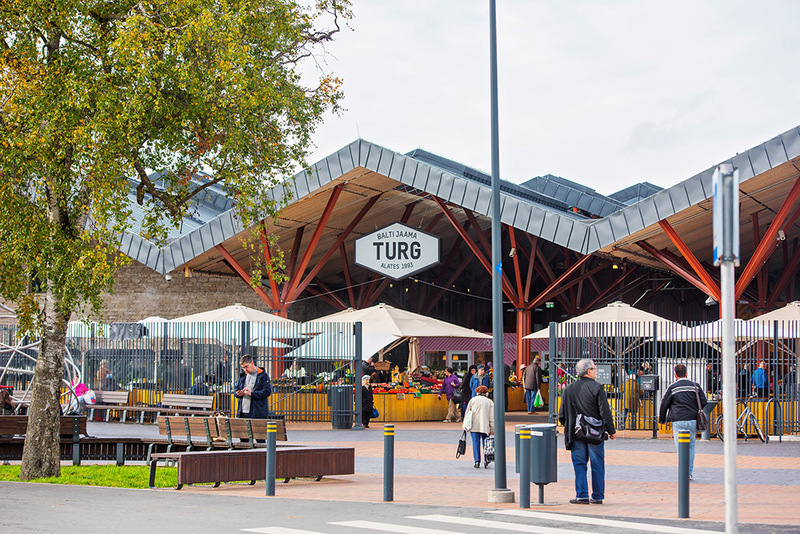 This newly-restored market complex is the most modern of its kind in Estonia, bringing an extraordinary range of items together under one roof, with everything from children’s clothes to tasty street food. There’s also a supermarket, sports club, hair salon, fresh fruit and vegetable stalls, the widest range of meat and fish in the country, and a variety of cafés. The square in front of the market building was encircled with bollards to prevent vehicle traffic and ensure safe access to the people. Altogether 41 fixed bollards were placed, that are permanently in upright position. Additionally, there is 1 automatic hydraulic bollard, that can be raised and lowered from a distance by a remote control and 1 manually raised bollard, with has unique lifting aid mechanism, which makes it very comfortable to handle, reducing the weight by 60%. All bollards are hot-dip galvanised, which prevents the formation of rust and ensures their long-term usability. The finish is painted in the tone ordered by the customer. 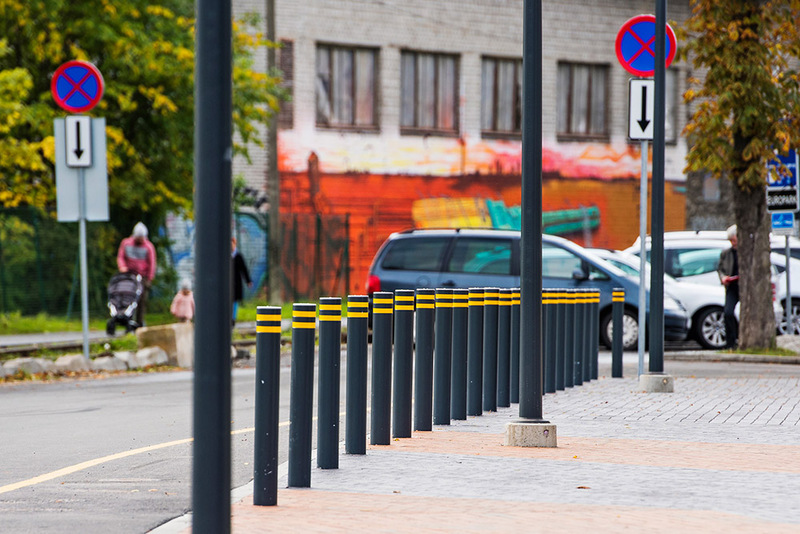 Bollards are equipped with two reflective bars, which makes them noticeable even in the dark. 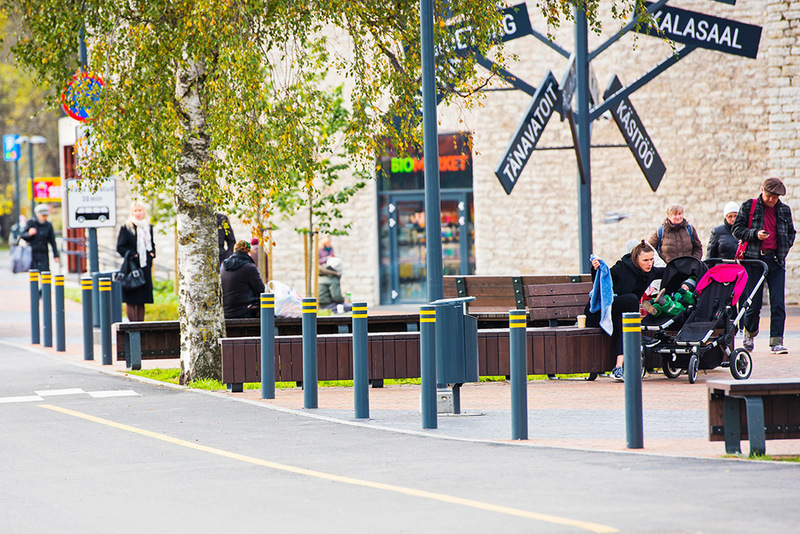 Hansab's partner, ATG Access, is the world's leading producer of bollards with 25 years of experience. From their long list of products, both certified and high-security bollards can be found, as well as simpler consumer-friendly home appliances.